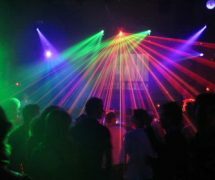 Home » News & Views » Local Info » Is FLIX The New Under 18’s Clubbing Disco In RCT? 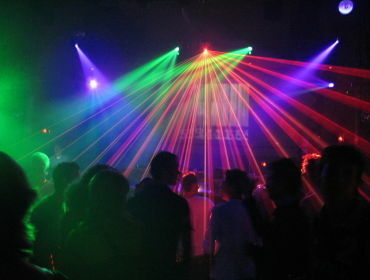 Is FLIX The New Under 18’s Clubbing Disco In RCT? Recently, I have attended, reviewed and photographed the new under 18’s clubbing disco in Rhondda Cynon Taf. I have been to 3 of the discos – with the first and last one being in Penygraig Boys and Girls Club and the second one being in Trebanog Workmens Club. For those who have never heard of FLIX, well, listen up, FLIX is similar to the well-known disco, Club Fusion, but with a different style of music and themes. FLIX uses more remixes of well-known songs, and a number of songs by DJ’s TJR, Will Sparks and includes all the well-known clubbing music. FLIX is run by Emerge Clubbing, which is an entertaiment service run by local 18 year old, Tonyrefail Comp 6th form student, Kieran. The discos do a different kind of themed disco each month and the theme of the first disco I attended was a UV theme which is an Ultra Violet light theme with glow in the dark face/body paints at Penygraig Boys and Girls Club. With over 3 UV lights, 2 strobe lights, 2 LED disco lights and mirror lights all set up, the venue was all ready for what was going to be the best under 18’s clubbing party in RCT. The second one I attended was at Trebanog Workmens Club, where 205 young people went for a normal themed disco with a room full of disco lights and DJ lights. Then the final one I attended at Penygraig, again, was a laserlight theme with poweful red and blue lasers, alongside normal and funky lights which lit up the room, but this one was aimed at 11 – 14 year olds which had a turn out of 159 people who enjoyed a night of DJ’ing by Kieran. Overall my rating of FLIX is 8 out of 10 and would highly recommend young people to attend the next FLIX. Find FLIX/Emerge Clubbing on Facebook. Photos can be found on Facebook. To find out when the next FLIX/Emerge Clubbing is, stay tuned on WICID and Facebook just by clicking this link. Have you been to a FLIX/Emerge Clubbing night? What are your thoughts?